Choose your own casino bonuses with the new Casino Room Welcome Bonus offers! Casino Room has just launched a brand new set of Welcome Bonus Offers for new players with 5 different deposit bonuses on offer with an extra nice touch that you get to choose from a selection of 3 different offers each time you make a deposit at the casino. New players will still receive 50 Free Spins with No Deposit Required just for signing up to the casino, these are awarded as 10 Free Spins per day for 5 days, after this, you then have the option of 3 different deposit bonuses for your first 5 deposits at the casino. The bonus offers vary slightly based on your country of registration so we recommend double-checking through the offers as well as the terms and conditions, for the rest of the article we will be using the UK bonuses as examples. As an example, the first deposit bonus offers a choice of a 500% bonus up to £50 or 200% bonus up to £200 or simply 200 Free Spins. 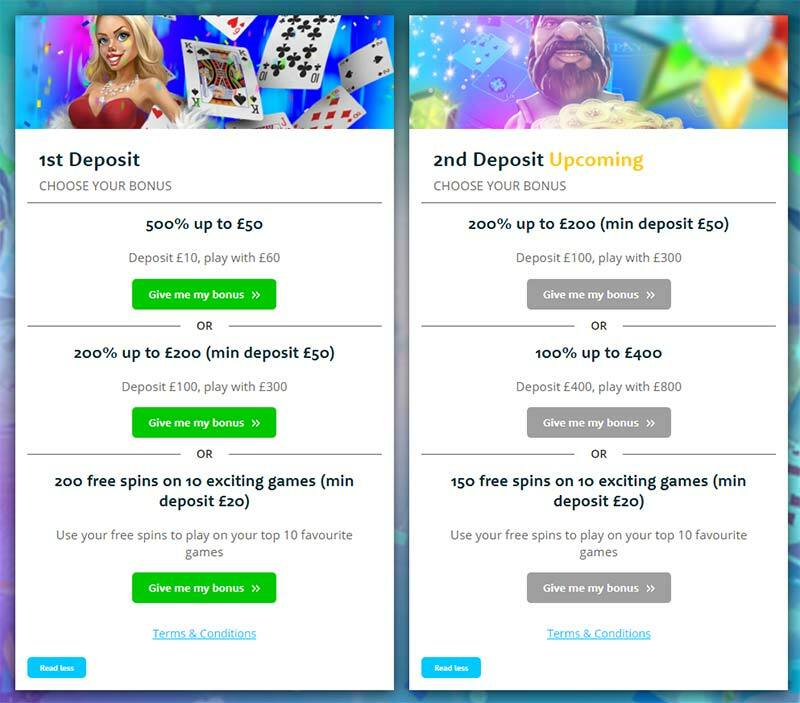 The main change to also be aware of is the high wagering requirements on both the free spins and casino bonuses – with 100x bonus wagering requirements on both, it’s certainly worth considering the free spins options as well as the regular casino bonuses when making your deposits. Sign up to Casino Room to claim your 50 Free Spins No Deposit Required. Select from the choice of 3 deposit different bonuses on offer – min deposit amounts vary. 1st Deposit: 500% up to £50 or 200% up to £200 or 200 Free Spins. 2nd Deposit: 200% up to £200 or 100% up to £400 or 150 Free Spins. 3rd Deposit: 200% up to £200 or 50% up to £500 or 100 Free Spins. 4th Deposit: 100% up to £200 or 50% up to £500 or 100 Free Spins. 5th Deposit: 100% up to £200 or 50% up to £500 or 100 Free Spins. All new players will be eligible for 50 Free Spins (10 Free Spins for 5 days) when they create an account at CasinoRoom. These must be wagered 100 times before you will be able to withdraw any winnings. Max win is £100. You will need to wager your freespins winnings or bonus amount 100 times before you can withdraw the bonus or any winnings gained from them. All Free Spins and deposit bonuses are valid for 7 days upon activation, unless otherwise stated. The General CasinoRoom Bonus Terms and Conditions apply. BetAt and Slotty “We are Sorry” – €24,000 in Bonuses for Active Players!